Read more about America's first muscle car, the Royal Bobcat below. "Go Go GTO . . . . If You're Lookin' for speed you can get your kicks. 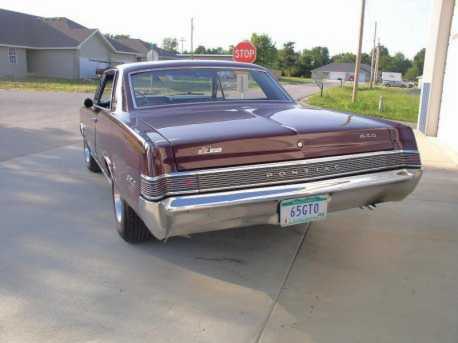 Wind her up to 60 Now in 4.6"
The story actually begins in late 1963 when Hot Rod Magazine tested a basic 4 barrel, powerglide automatic 1964 GTO and proclaimed the car a slug. Enraged, Pontiac's head of Public Relations, Jim Wangers, stormed into Chief Engineer John Delorean's office and demanded he pick the cars that would go to the press for road tests. Wangers ordered a car with all the goodies, including tri-power carburetion, close ratio 4-speed, 3:90 Saf-T-Track rear gears, transistorized ignition and "insulation delete" options. Here's where the story gets a little fuzzy. Jim Wangers claims the car was shipped directly to dealer # 679 - Royal Pontiac in Royal Oak, Michigan. Others involved with the car at that time claim a 421 Super-Duty motor was covertly installed by Pontiac Engineering prior to shipment to Royal. At any rate, Royal performed their famous "Royal Bobcat" treatment on the GTO, the very first GTO so equipped. The car was, in Jim Wangers' own words, "well set up." The GTO was then loaned to David E. Davis, Car & Driver Magazine's Editor- in-Chief. Wangers and Davis came up with the idea of testing the Pontiac GTO against a real Ferrari GTO (from which Pontiac had stolen the GTO name). In the resulting road test, which was published in Car & Driver's March 1964 issue, the Pontiac GTO turned the unbelievable times of 4.6 seconds 0 to 60 MPH and 13.1 seconds through the 1/4 mile. Jim Wangers was happy. John Delorean was happy. 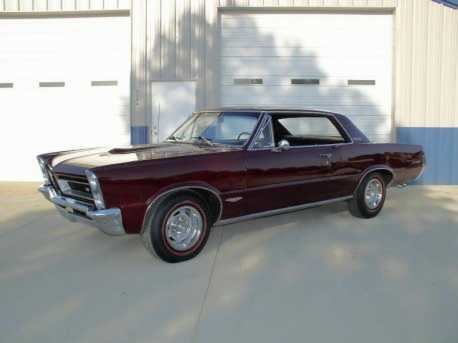 Pontiac sold tons of GTOs. The "Muscle Car" revolution was born and the rest is history! In his book "Glory Days," Jim Wangers finally admits on pages 106 & 107 that the "Car & Driver" GTO was a ringer! Wangers did have a 421 Super-duty installed prior to the roadtest! The story of Royal Pontiac reaches back to the late 1950s, when Ace Wilson,Jr., purchased a Pontiac franchise in Royal Oak, Michigan, a suburb on Woodward Avenue halfway between Detroit and Pontiac. Wilson's new Pontiac store was located on North Main Street, not far from Jim Wangers' home in Royal Oak. Wangers, already established as an advocate of high performance, had been pushing for a network of Pontiac dealers across the country who would become performance dealers, specializing in sales and service of Pontiac Hot Chiefs. Wangers was turned down several times, but his persistence finally paid off. Frank Bridge, Pontiac's general sales manager, eventually agreed to allow Wangers to find one dealer who was willing to be a guinea pig. If the dealer would agree to stock special cars and special parts and get involved in special activities (read drag racing) Bridge promised to find a way of supporting it. The catch was, the connection had to be covert. "I don't want anyone to know it," Bridge told Wangers. Wangers hooked up with Wilson and things began to happen. "Wilson liked racing," Wangers recalled. "He liked performance, he was a relatively new Pontiac dealer and he thought this was a swinging idea." Within six months. Royal established a reputation as the dealer that stocked the fastest cars, had the service technicians that knew how to work on them and a parts department stocked with an assortment of aftermarket and factory performance parts. Wangers took the Royal name before the national press in 1960 when he piloted Hot Chief Number 7 to the Stock Eliminator title at the NHRA Nationals in Detroit. Wilson realized the vast potential in the sales and service of high-performance Pontiacs. "In this day and age of professional drag strip racers," stated Royal's 1963 brochure, "car dealers who sponsor Super Stocks are a dime a dozen. At Royal Pontiac, there's a difference. Most dealers who sponsor these hot jobs at the drag strip are content to sit back and wait. They figure a winner or even reasonable success at the strip will mean that all the local enthusiasts will "knock down the doors" to do business at their dealership. This just doesn't happen. At Royal, we go a step further. A successful Super Stocker at the strip is only the beginning. We want to pass our experience on to you. We want to satisfy your performance needs and problems. We are prepared to offer all the Pontiac factory options plus a custom performance tune-up that is guaranteed to outperform any equivalent Pontiac in showroom stock condition. This treatment is called the 'Royal Bobcat' tune-up package." It was this philosophy that set Royal Pontiac apart from the mainstream of dealers who weren't versed in the performance market or were apprehensive about the profitability of racing, building and selling special high-performance cars. But racing was just part of the Royal story. The Bobcat was a packaged performance car, utilizing many of the performance options offered by Pontiac. Starting with the 389 Tri-Power, Royal used the factory's free-flowing exhaust manifolds and dual exhausts, aluminum wheels with the integral drums, four-speed manual gearbox and limited-slip rear. Royal then made special modifications to the car to make it a Bobcat. The distributor curve was reworked, as were the carburetor jets. The vacuum carburetor linkage was scrapped for a mechanical setup, and less restrictive mufflers were installed. To visually set the Bobcat apart, all Catalina nameplates were removed, special paint was applied and the Bobcat nameplate was installed. "It was the first, really packaged supercar," recalled Wangers. 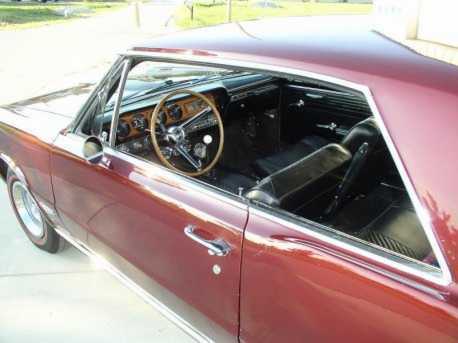 Royal began taking cues from both Pontiac and the aftermarket, and by 1963 they were reworking camshaft timing, changing compression ratios and making adjustments to the valvetrain to increase rpm. It was the emergence of the GTO that ended the short reign of the Bobcat. Much that Wangers had learned in building the Bobcat package he related to the GTO. 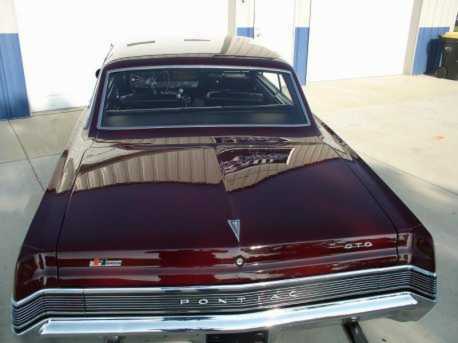 "When Pontiac finally created the one symbol of what Pontiac was all about in a total package called the GTO, there wasn't any room for a Royal Bobcat. So the Royal Bobcat became a tuning package or a performance package for the GTO, the 2+2 and later the Firebird. 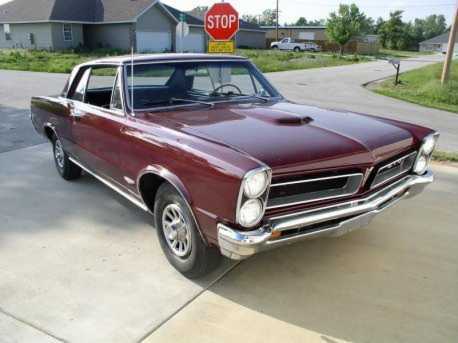 When the GTO arrived on the scene, Royal began experimenting with the GTO, using the tricks they had learned over the years to juice the big Pontiac engine. 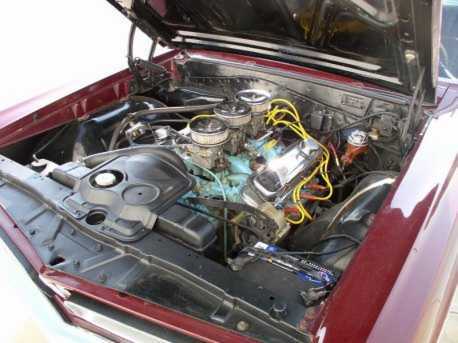 The distributors were recurved, thin head gaskets were installed to boost compression, the carburetors were rejetted and the lifters were restricted by installing special fiber lock nuts that reduced lifter pump-up and allowed another 500 rpm. This became the Royal Bobcat package, and it could be installed in a GTO by Royal, or shipped as a kit with all necessary parts and instructions for installation by the customer. 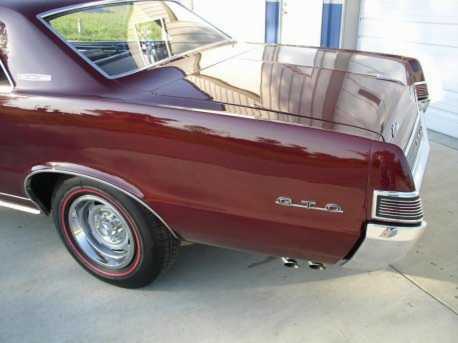 The Royal Bobcat package on a GTO was identified by a decal that was applied to the C-pillar. Pontiac fans were also urged to send $3 and join the Royal Racing Team. Membership included a special window decal, price sheets for parts and services and a newsletter. 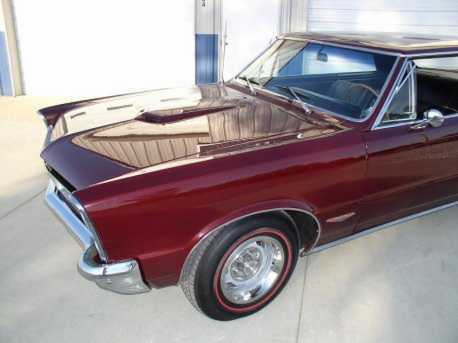 To own a GTO with the Bobcat package, a Royal Racing Team decal on the windshield and a Royal license plate frame was to be one of the "swingingest" dudes on the street. With the urging of Wangers, who was a "consultant" to Royal, the top car magazines like Hot Rod, Car Craft and Super Stock beat a path to Royal to road test Bobcat GTOs and write articles on how Milt Schornack could supertune the GTO engine for more power and faster acceleration. It was not unusual to see pictures of Schornack bent over a Sun distributor, carefully setting the advance curve, or Royal mechanic Dave Warren cracking gears on the drag strip. Because of the success of Royal Pontiac, there was considerable communication between Schornack and Pontiac Engineering. Parts would travel back and forth, and Schornack would experiment with setups and report back to Engineering on the results. 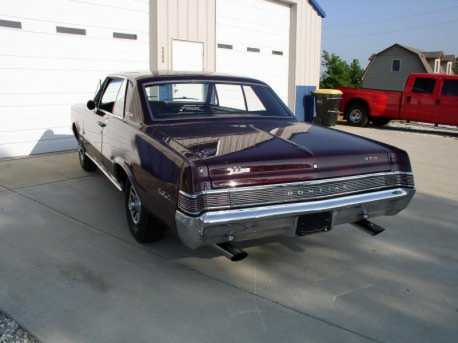 One of the earliest experiments conducted by Royal that eventually appeared in production GTOs was cold-air induction, which Pontiac named Ram Air. 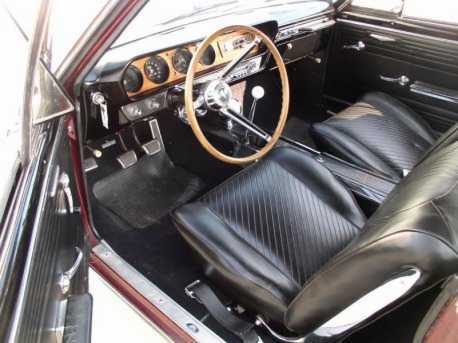 Ram Air was introduced as an accessory package in 1965 after Royal had perfected the setup on the 1964 and 1965 GTOs. Ace Wilson sold the performance arm of the dealership in 1969 to George (brother of John Z.) DeLorean's Leader Automotive. Royal Pontiac was eventually sold by Wilson, and a special era in Pontiac performance was over.